Tanya Plibersek has a gift for doing many things at once. “My personal favourite was writing a speech, talking on the telephone and breastfeeding,” says Labor’s 43-year-old MP for the federal seat of Sydney, whisking egg yolks, lemon juice and olive oil into a home-made mayonnaise. Why not indeed? Within hours of the ALP losing government in September, Plibersek emerged as a potential new leader. A few weeks later, BRW magazine described her as a “powerful candidate” due to her “warmth, intelligence … and, let’s not be shy, her undoubted charisma”. Then former PM Julia Gillard all but endorsed Plibersek, calling her one of the most gifted communicators in politics. 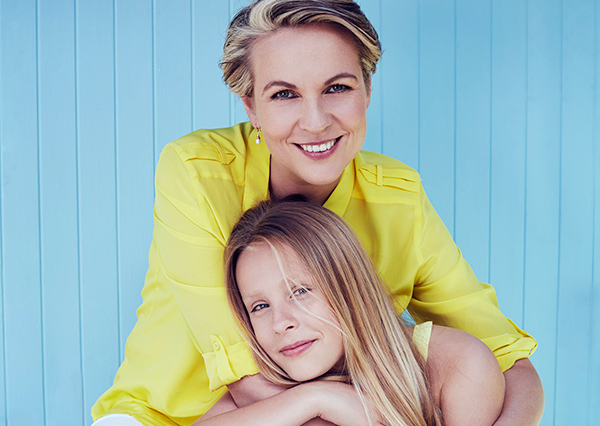 Juggling work and family has been the mainstay in Plibersek’s life since she entered Federal Parliament in 1998, aged 29. In that time she has had three children – Anna, 12, Joe, 8, and Louis, 3 – and breastfed each of them for the first year. Her family loyalty has only strengthened her public image as a capable and compassionate politician. “If you were to draw up a shortlist for the next PM, it would have Tanya Plibersek’s name on it,” says political commentator Lachlan Harris, a former press secretary to Kevin Rudd. Amid the conflict and chaos of the Rudd-Gillard era, Plibersek emerged unscathed. She’s one of a number of unassuming female Labor MPs – Michelle Rowland in NSW, Kate Ellis in South Australia, Kate Lundy in the ACT – determined to trample over gender politics and make a fresh start with rolled-up sleeves. Plibersek, especially, manages to sidestep internal party politics and the machinations of the “faceless men”, yet retains the respect of the party’s king-makers. In her own electorate of Sydney she is much loved. “It’s a very demographically diverse seat and she manages to cover a wide spectrum of people, from working-class families to the first- and second-generation migrants to the über-trendy latte drinkers,” says Harris, who lived for many years in the electorate. In the office, too, Plibersek’s hospitality is legendary. On sitting days in Parliament she’ll often cook – grilled chicken on the sandwich press or soup in the rice cooker. “It’s quicker and healthier than a trip to the Parliament House cafeteria,” she says. Plibersek is one of the most invited guests on ABC TV’s Q&A program (along with Malcolm Turnbull and Christopher Pyne) – known for her calm, thoughtful answers and occasionally sharp tongue. In person, she is warmer, more personable. Still, she relishes the opportunity to spar on television, despite getting the jitters each time she steps in front of the cameras. The marginalised and disadvantaged are the focus of Plibersek’s work. As housing minister, she drove a reform agenda that saw $31 billion invested in new public housing and spearheaded a white paper which aimed to halve homelessness by 2020. As health minister, she introduced free dental care for children. Real, tangible wins are what inspire and motivate her.